The first article in this series provided an introduction to valuation analysts (analyst) regarding the need to integrate and use the Asset-based Approach to value going-concern businesses and securities. This second installment addresses common analyst misconceptions regarding the use of the Asset-based Approach to value both asset holding companies and operating companies. The previous discussion in this series provided an introduction to valuation analysts (analyst) regarding the need to integrate and use the Asset-based Approach to value going-concern businesses and securities. This second installment addresses common analyst misconceptions regarding the use of the Asset-based Approach to value both asset holding companies and operating companies. The Asset-based Approach is a generally accepted business valuation approach. The Cost Approach is a generally accepted property valuation approach. This is a very important distinction. The objective of the Asset-based Approach is to estimate a business equity (or total net asset) value. The objective of the Cost Approach is to estimate the value of an individual tangible asset or intangible asset. In the Asset-based Approach, the individual asset categories may be valued using the Cost Approach—or the Market Approach—or the Income Approach. In the typical Asset-based Approach analysis, the analyst may expect that all of the property valuation approaches will be used. Some asset categories will be valued by reference to Cost Approach methods. Some asset categories will be valued by reference to Market Approach methods. And, some asset categories will be valued by reference to Income Approach methods. Multiperiod excess earnings method (MEEM). There is an economic obsolescence adjustment that needs to be made to the Cost Approach tangible and intangible asset values (i.e., a negative CEEM indication). These Cost Approach methods are not necessarily applicable to all tangible and intangible asset categories. Many tangible and intangible assets are more efficiently valued by reference to the Market Approach. And, many intangible assets are more efficiently valued by reference to the Income Approach. For example, it is possible to value goodwill by reference to the Cost Approach (e.g., the capitalization of opportunity cost during a total asset recreation period). However, it is more common to value goodwill using the CEEM of the Income Approach. The Cost Approach can be used to value various categories of tangible assets (e.g., machinery and equipment) or intangible assets (e.g., a trained and assembled workforce). However, it would be difficult to value all the assets of a going-concern company by using the Cost Approach exclusively. Such an analysis may ignore the income generation capacity of the company and may not appropriately encompass either (1) the company’s goodwill (positive capitalized excess earnings) or (2) the company’s economic obsolescence (negative capitalized excess earnings). The asset-based business valuation approach typically incorporates Cost Approach property valuation methods to value certain tangible and intangible asset categories. The Asset-based Approach also incorporates other property valuation approaches to value certain other tangible and intangible asset categories of the subject company. Inexperienced analysts who confuse either the nomenclature or the methodology of the Cost Approach versus the Asset-based Approach may not understand either valuation approach. The principle of the Asset-based Approach is that the value of the company assets minus the value of the company liabilities equals the value of the company equity. This formula does not only work for the valuation of holding companies that passively own investment assets. This formula also works for the valuation of operating companies that both own and operate tangible and intangible property. All assets can be valued using the generally accepted property valuation approaches and methods. This conclusion is true for tangible assets and intangible assets. And, this conclusion is true for investment assets and operating assets. Often when an analyst states that the Asset-based Approach is only applicable to investment holding companies, the real declaration is: I only know how to apply the Asset-based Approach to investment holding companies; I really do not know how to value operating tangible and intangible assets. The more correct analyst assertion may be: the Asset-based Approach is ideally suited to the valuation of investment holding companies; however, the Asset-based Approach is also applicable to the valuation of operating companies. Inexperienced analysts believe that the application of the Asset-based Approach concludes a liquidation value (that is, not a going-concern value) for the subject company. These analysts maintain this (erroneous) belief whether the Asset-based Approach is applied to an investment holding company or to an operating entity. These analysts (correctly) believe that the Asset-based Approach is based on a defined value for the subject assets. The defined value (whatever standard of value applies) is usually based on the expected sales price of the subject asset between some defined parties. These analysts (incorrectly) assume that any sale of any asset is a liquidation transaction that yields a liquidation value. This analyst belief is simply misplaced. Let’s use the fair market value (FMV) standard of value as an example. An FMV transaction occurs between a hypothetical willing buyer and a hypothetical willing seller. Presumably, the asset buyer is always willing to enter into the subject FMV transactions. If the asset seller decides to sell the subject asset by the end of the week (say, due to a loan payment that is coming due), that transaction may result in a liquidation value. Even if the seller exposes the subject asset for sale during a normal market exposure period—but the buyer will not continue to operate the asset in a going-concern business—that asset sale transaction may result in a liquidation value. Let’s extend the example to assume that the seller was operating the asset as part of a going-concern company. The seller exposes the asset for sale during a normal market exposure period. The buyer acquires the asset and then uses the acquired asset as part of the buyer’s going-concern company. Even inexperienced analysts would recognize these asset sale transaction-based FMV indications as going-concern value (and not liquidation value) indications. In addition to assets being sold from one going-concern seller to one going-concern buyer, going-concern companies themselves are often bought and sold. The purchase price allocation of that company sale price will indicate the going-concern value of the acquired assets. These transaction-based FMV indications obviously conclude going-concern value (not liquidation value) conclusions. It is true that the Asset-based Approach will conclude a liquidation value for the company if all of the individual asset values were concluded on a liquidation premise of value basis. It is also true that the Asset-based Approach will conclude a going-concern value for the company if all of the individual tangible and intangible asset values were concluded on a going-concern premise of value basis. Some analysts focus on the valuation of assets during the application of any Asset-based Approach valuation method. The valuation of liabilities is also an important procedure in this valuation approach. The first procedure in the liability valuation is to understand the assignment standard of value and the assignment purpose. That is, the analyst may conclude a different value for the same liability if the standard of value is fair value versus fair market value versus investment value versus some other standard of value. If the valuation purpose is a solvency analysis prepared within a bankruptcy context, then the analyst typically considers the recorded balances in the company liability accounts. After all, those are the liability amounts that the creditors can claim in a bankruptcy proceeding. And, one objective of the solvency analysis is to see if the value of the debtor assets (based on a fair valuation amount) exceeds the amount of the debtor liabilities (based on a recorded amount). Outside of a solvency analysis, the analyst may be more concerned with the current value of the company liabilities than with the recorded balance of the company liabilities. Depending on the applicable standard of value, the analyst may be more concerned with an expected trading price for the company’s debt instruments. That is, how much would an investor pay to own, say, the company’s note payable? Or, how much would the debtor have to pay to the creditor (i.e., how much would the creditor be willing to receive) to extinguish the company’s note payable? As one part of the Asset-based Approach, the analyst may revalue all of the recorded bond, note, mortgage, and debenture liabilities. This analysis would include the entirety of the liability accounts, including any long-term debt amounts recorded as current liabilities for financial accounting purposes. In addition, the analyst may identify and value all of the contingent liabilities. Such liabilities do not meet the GAAP requirements to be recorded on the balance sheet for financial accounting purposes. Nonetheless, such unrecorded liabilities could have a material effect on the value of the company’s equity. There are several generally accepted methods that may be used to value contingent liabilities. Often, the analyst attempts to estimate the net present value (NPV) of the expected future cash payments associated with extinguishing that liability. That NPV analysis considers the expected amounts of—and the expected timing of—the future cash payments. Such an NPV analysis typically considers the probabilities associated with the debtor company future contingent liability payments. This consideration may be quantified either through scenario analysis or through a risk-adjusted present value discount rate. Unlike liabilities that are recorded on the balance sheet, there is no single data source for the analyst to identify off-balance-sheet contingent liabilities. If such interviews are available, the analyst may interview company management and legal counsel. Analysts often review board of directors meeting minutes, company management committee meetings, and company financial plans and forecasts in order to identify possible contingent liabilities. There is a diversity of practice regarding the treatment of income taxes in the Asset-based Approach. The issue is this: the Asset-based Approach assumes the sale (not a liquidation sale, but a going-concern transfer of a bundle of assets) of the company assets. Such an asset sale would normally be a taxable event. In an actual sale transaction, the asset seller would be responsible for income taxes related to any gain on the sale. And, that gain on the sale would be calculated as (1) asset sale price (based on the asset value) minus (2) the asset tax basis. For many of the intangible assets included in the analysis, the tax basis for such assets is often zero. The first procedure is often justified by several explanations. Some analysts often do not have the data they need to calculate the exact income tax liability related to the asset revaluation. Some analysts are not income tax accounting experts, and they do not have the expertise to calculate the implied income tax liability. And, some analysts say that the assets will not actually be sold and the income tax payment will not actually be made. The asset revaluation is just a hypothetical transaction that is part of a theoretical valuation exercise. The second procedure is often justified by several explanations. These analysts need data from company management or technical assistance from the company (or other) accountants. These analysts recognize that the hypothetical asset revaluation in the Asset-based Approach will not be tax-free to the hypothetical transaction participants. That is, if the debtor company assets are hypothetically sold by the asset seller, then that asset seller will incur a corresponding hypothetical income tax liability. These analysts conclude that if the asset revaluation occurs on the valuation date, then the corresponding tax liability should be recognized on the valuation date. The third procedure is also justified by several explanations. These analysts recognize there is a built-in capital gain associated with the revaluation of the company assets. This built-in capital gain is analogous to the built-in gain (BIG) valuation discount that is often associated with stock valuations prepared for federal gift and estate tax purposes. Analysts recognize that an actual asset revaluation (that would occur in, for example, post-bankruptcy fresh start accounting) would result in a deferred federal income tax (DFIT) liability being recorded on a GAAP balance sheet. And, these analysts recognize that there is some uncertainty as to (1) how much income tax will ultimately be paid (i.e., what the company’s effective income tax rate will be) and (2) when the income tax liability will ultimately be paid (i.e., when the asset would be sold in real life). Since there is a divergence of practice regarding the treatment of income taxes in the Asset-based Approach, this discussion does not recommend a right or wrong procedure. This discussion does recommend that each analyst may make a conscious decision as to which income tax liability convention to implement. Each analyst should document the rationale for this decision in the work paper file. In the Asset-based Approach analysis, the default decision (to ignore income taxes) has a direct impact on the valuation analysis and on the value conclusion. 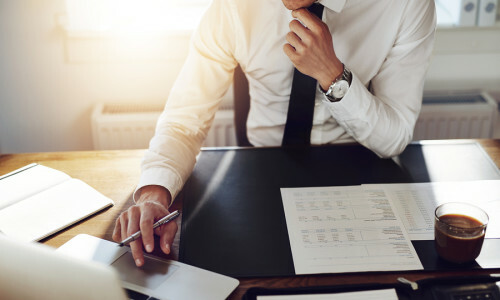 For most types of companies—and for most business valuation assignments—the Asset-based Approach is the less commonly used approach. Analysts commonly apply the Income Approach and the Market Approach. The Asset-based Approach is still a generally accepted business valuation approach. Both the professional literature and the professional standards advise analysts to consider applying the Asset-based Approach in the business valuation. These observations should not invalidate the use of the Asset-based Approach. These observations should not discourage the analyst from performing the Asset-based Approach. Analysts should be aware of these considerations when performing the Asset-based Approach analysis, reaching the value conclusion, and preparing the business valuation report. In most business valuation assignments, analysts should consider Asset-based Approach value indications in addition to Income Approach and Market Approach value indications. It is unlikely (but possible) that the analyst will rely solely on the Asset-based Approach. It is unlikely (but possible) that the analyst will rely solely on the Income Approach or Market Approach value indications. The Asset-based Approach value indications should reconcile with the other business value indications. When there are differences in value indications between approaches, these value differences should be explainable. If there are material differences between value indications, the analyst may perform additional due diligence with regard to all of the valuation analyses. If the Asset-based Approach value is materially lower than other value indications, that may indicate that (1) the subject company owns additional intangible assets that were not included in the valuation, (2) one of the intangible assets—such as goodwill—could be undervalued, or (3) one or more of the company liabilities could be overvalued. If the Asset-based Approach value indication is materially greater than other value indications, that may indicate that (1) there is unrecognized economic obsolescence that should be considered in the tangible asset or intangible asset valuations, (2) one or more intangible assets may be overvalued (potentially due to the double counting of intangible asset value), or (3) the values of the company liabilities (particularly contingent liabilities) could be understated. These additional due diligence procedures should be able to identify and correct any of these situations. The Asset-based Approach is a generally accepted business valuation approach. The asset-based business valuation approach should not be confused with the cost property valuation approach. The Cost Approach is a generally accepted approach to value individual tangible assets and intangible assets. In the application of the Asset-based Approach, analysts often use the Cost Approach to value certain categories of the tangible assets or intangible assets. Since the values of the tangible and intangible assets are typically estimated based on a value in continued use premise of value, the Asset-based Approach normally concludes a going-concern value for the company. With numerous specific adjustments, the Asset-based Approach value could be adjusted to conclude a liquidation value for the company. The Asset-based Approach typically concludes a marketable, controlling ownership interest level of value for the equity. If the assignment calls for a noncontrolling, nonmarketable ownership interest level of value, then the analyst may have to apply a discount for lack of control and a discount for lack of marketability to the unadjusted value indication. There are several generally accepted Asset-based Approach business valuation methods. The common methods within this approach are the asset accumulation (AA) method and the adjusted net asset value (ANAV) method. The next discussion in this series will describe and illustrate the AA method. Future discussions will describe and illustrate the ANAV method.